To sail with the whales is a dream for many whale watchers. 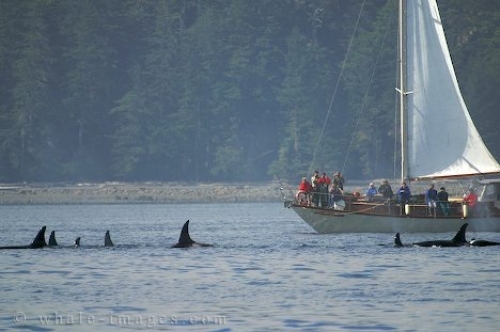 The Tuan is a whale watching vessel which operates off the Northern Vancouver Island coast. sailing with the whales is sure a very different and unique ecxperience. Picture of the whale watching sailboat Tuan and a resident Orca Whale pod off Malcolm Island in British Columbia, Canada.